Rangers stadium tours run Fridays as well as Saturday and Sunday on non match days. I recommend you book your stadium tour in advance to organise the best time for you. Ibrox stadium is located in west Glasgow, south of the River Clyde. It’s very easy to get to, simply take the Glasgow underground to Ibrox station. 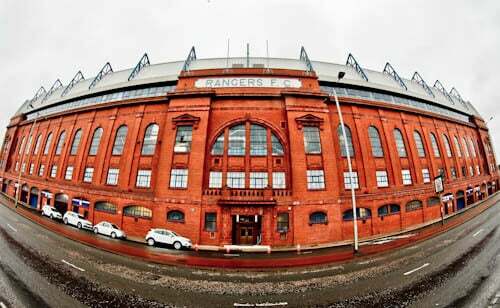 You may be visiting Ibrox stadium for the the famous Rangers FC and football. 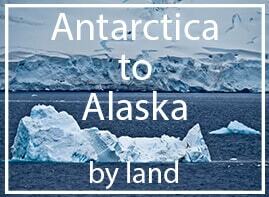 However, it’s also hosted speeches from both King George VI and Sir Winston Churchill. 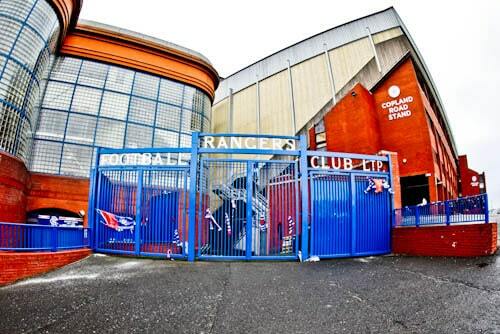 The Rangers FC gates are an important part of the historic Ibrox Stadium. If you’re visiting Ibrox for the first time you may well stop for a picture alongside them. As you take the stadium tour, look at the old stadium pictures to see how they fit into the original design. These gates reminded me of the Shankly Gates at Anfield. John Greig is considered to be the greatest ever Rangers player therefore his statue is in between the Bill Struth and Copeland Road stands. However, there is more to this statue than meets the eye. John Greig was the captain when Rangers played Celtic on 2nd January 1971. After this game, several supporters died during a crush on the Copeland Road staircase exit. This statue is a monument to all those who lost their lives during this incident. 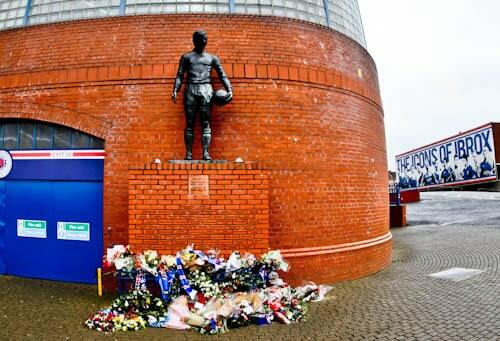 In addition, it honors all those who lost their lives during other incidents at Ibrox stadium. Lastly, there’s also a plaque in memory of those who lost their lives adjacent to where the staircase used to be. The stadium tour starts when you go through the double doors in the center of the grand Bill Struth Stand. 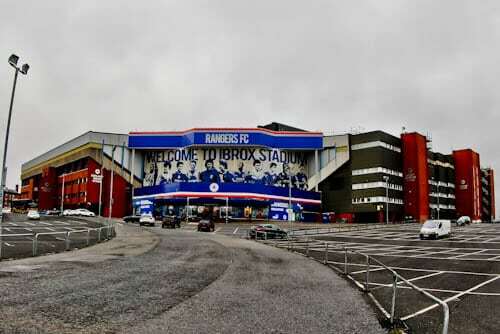 Before you go inside and take the tour, I recommend you cross the road to view the Bill Struth Stand exterior. This 1928 structure is one of the most impressive stadium exteriors in world football. Lastly, the Arsenal stadium, Man City stadium and Athletic Bilbao stadium may be ultra modern but they cannot recreate the character of a historic stadium. 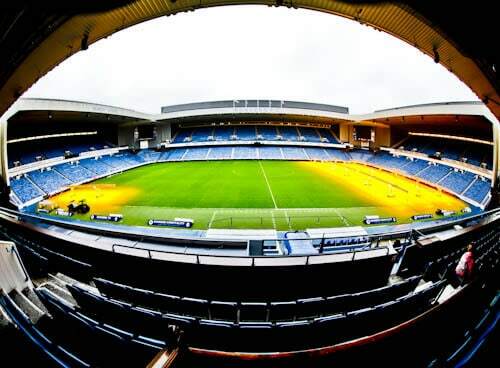 Ibrox stadium has a capacity of over 50,000. As a result, it’s the third largest football stadium in both Glasgow and Scotland after Celtic Park and Hampden Park. The main stand is the Bill Struth Stand which is the one you explore on the stadium tour. This historic stand dates back to 1928 / 29. 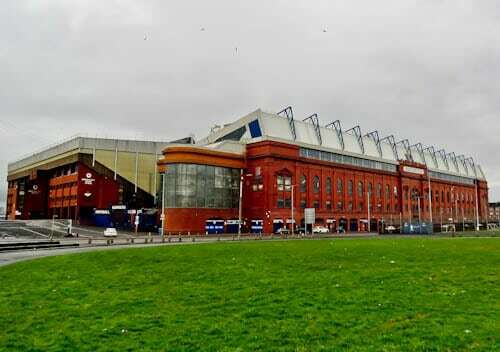 The other 3 stands were built in the late 70’s and early 80’s as part of the restructuring to make Ibrox a safer stadium. 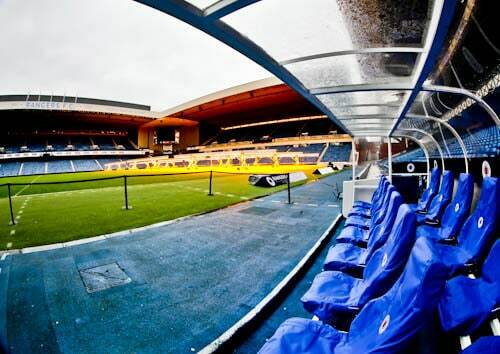 Lastly, these stands are the Copland, Broomloan and Govan stands. You know the Rangers stadium tour is going to be something special as you walk up the marble staircase in the Bill Struth Stand. When you walk up you’ll pass 2 busts of Rangers legends. 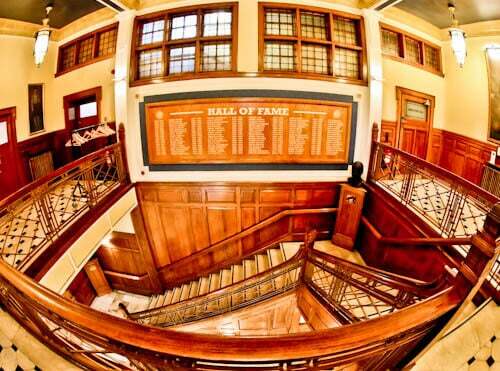 Both Sandy Jardine and Bill Struth have a bust on the staircase. In addition, there is the Hall of Fame which lists Rangers greats over the years. 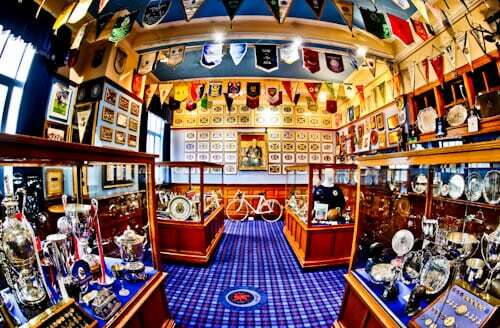 The Blue Room is the historic Rangers boardroom. It features several paintings illustrating Rangers history as well as medals on display. As a matter of fact, even if you’re not interested in football you’d be satisfied simply visiting to view the fine artwork. Another interesting item in the Blue Room is the piano which Bill Struth himself used to play. Where are you from? Which is your favorite football team? If they’ve played Rangers, it’s highly likely there’s a souvenir proudly on show in the Rangers museum. If you look at my picture of the museum you may be wondering, why has someone parked their bike in the museum? This French racing bike is in fact a gift from St Etienne. Every gift from each team is unique and has a reference to their culture or logo. 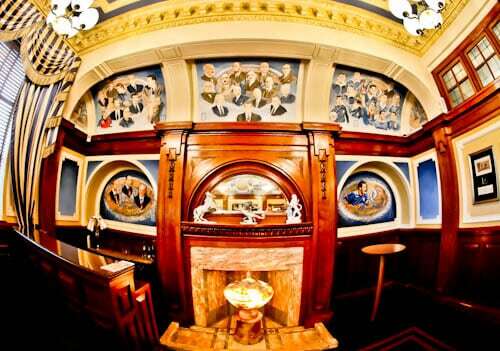 The painting on the wall is Bill Struth who was the Rangers manager for 34 years. Finally, it’s clear to see that Rangers are not only proud of their history but also value it. 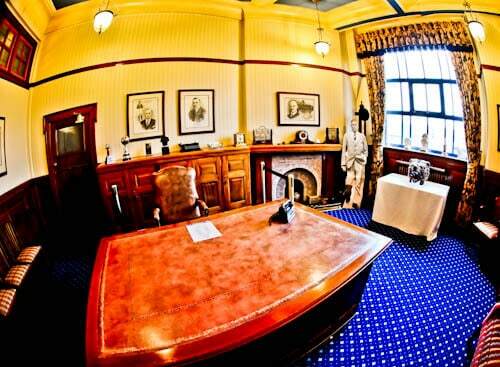 Known as the old managers room, this was Bill Struth’s office. An interesting fact about this office is that a canary flew in the window one day. A cage was then put up and this office became the canaries home. Today, you can still see where the cage was suspended from. The office is full of interesting pieces and the tour guide will explain their significance. Lastly, the manager’s office is now closer to the home team dressing rooms. 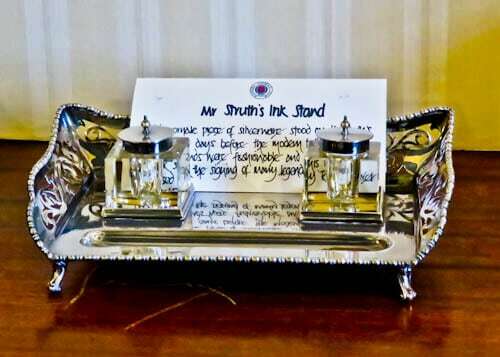 For me, the most interesting piece in the old managers room is the ink stand. It was a gift from Sir Winston Churchill when he delivered a speech at Ibrox. Additionally, there’s another gift from Sir Winston Churchill displayed in the Rangers Museum. As you would imagine, the press room is blue and features all the match sponsors as well as the Rangers logos themselves. A wonderful addition to the press room visit is the Rangers mascot. 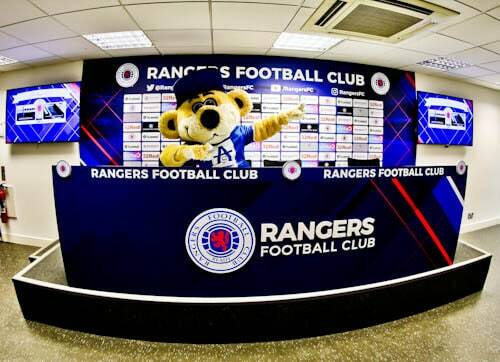 Broxi Bear will make a surprise appearance whilst you explore the press room. If you’re taking the Rangers stadium tour with kids, I recommend you keep this part secret. I personally didn’t know Broxi Bear would make an appearance and was quite excited to see him myself! You’re welcome to take photos and selfies with Broxi Bear. Alternatively, after he leaves you can take your picture in the managers chair itself. The Rangers home team dressing room is full of history and character. For this reason, it’s definitely one of the best dressing rooms I’ve visited throughout the world. 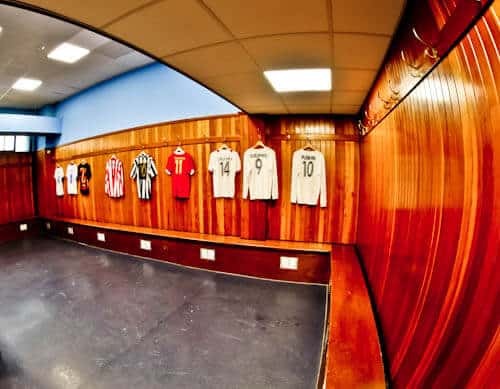 Imagine the Rangers greats who have used this dressing room. John Greig, Ally McCoist, Paul Gascoigne, Barry Ferguson, Mark Hateley, Stuart Mccall, Andy Goram but to name a few. When I visited Ibrox stadium, number 2 James Tavernier was captain. The captain traditionally sits under the portrait of Queen Elizabeth II. Additionally, there’s another portrait of the Queen above the exit which was donated by Terry Butcher. 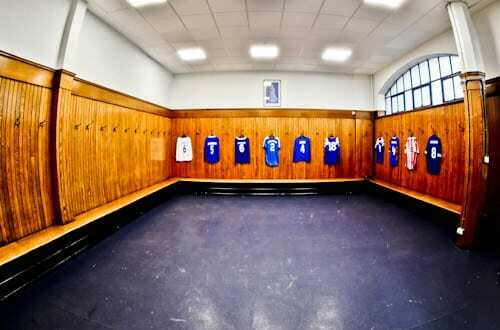 The away team dressing rooms at first glance look identical to the home teams. However, there are a couple of unusual features in this dressing room. 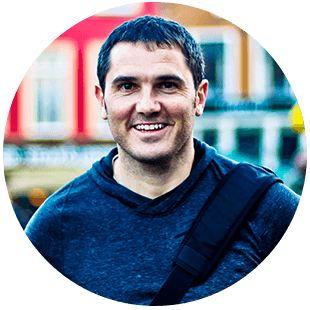 Features which may get the away team thinking about things other than football. Do those hangers look a little high? Ask the guide for details. Moreover, the Rangers fans walk right past the away team dressing room. I’m sure they know where it is and therefore may shout a few words of discouragement. Finally, shirts of the famous players and teams who have visited Ibrox are on display. You’re welcome to take your picture with the Juventus Del Piero, Barcelona Messi, or any shirt you wish. The Rangers team walk out onto the pitch to the music ‘Simply The Best’. 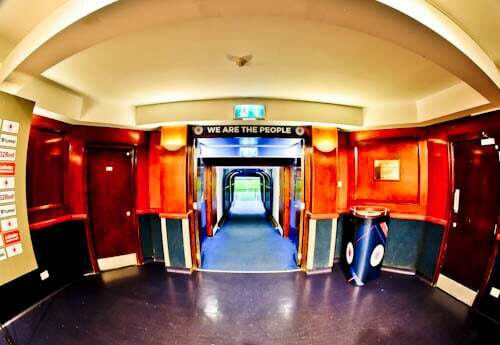 As you walk through the players tunnel the guide will play the music and recreate the atmosphere. He’ll probably invite the kids to be the team captains walking out. As you walk out onto the pitch, you’ll pass under the words ‘We are the people’. Furthermore, there’s a flash interview board in the players waiting area where you’re more than welcome to make your own interview video. A top Instagram spot on the Rangers stadium tour is sat in the managers seat. The tour guide will explain which is the home dugout and exactly where the manager sits. Moreover, pitchside is a good location to take a stadium selfie. It’s also from pitchside where you get a good view of the criss cross style architecture by architect Archibald Leitch. The Rangers Club Shop is a must for Rangers fans. As you would imagine it’s full of every kind of Rangers merchandise you could imagine. In fact, you could buy some Rangers memorabilia to wear throughout your stadium tour. That photo with Broxi Bear would look a whole lot better if you were wearing a Rangers shirt! To get to Ibrox stadium is incredibly easy. 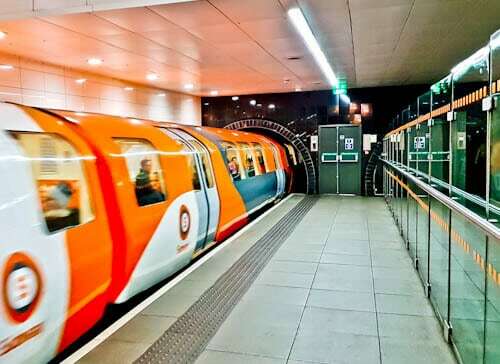 The best way is to take the Glasgow underground to Ibrox station. Alternatively, if you’re staying in west Glasgow close to the Clyde, it’s a 20 minute walk. Rangers stadium tours run Fridays as well as Saturday and Sunday on non match days. I recommend you book your stadium tour in advance as they do sell out. As a neutral, this was my favorite stadium tour in Glasgow. For this reason, if you’re only taking one tour in Glasgow, I’d choose this one. Check out the Hampden Park, Celtic Stadium Tour and of course, the famous Glasgow Landmarks + Instagram Spots.